I am definitely not a mixologist. I’ve never been a bartender and, frankly, have never aspired to be one. A case could certainly be made that it’s the best job in a restaurant but it never quite struck my fancy. 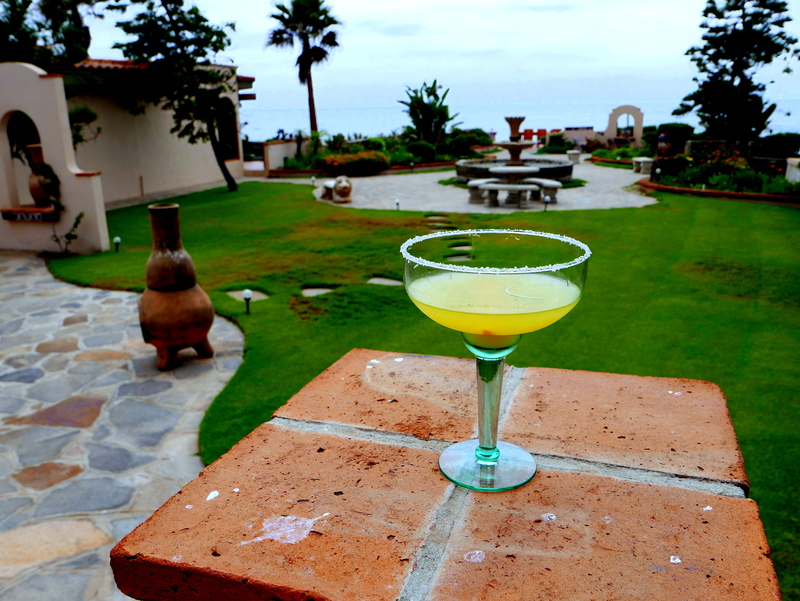 But, growing up on the border, Mexico’s national cocktail—the margarita—was all around me. I live in San Diego and have a house in Mexico. 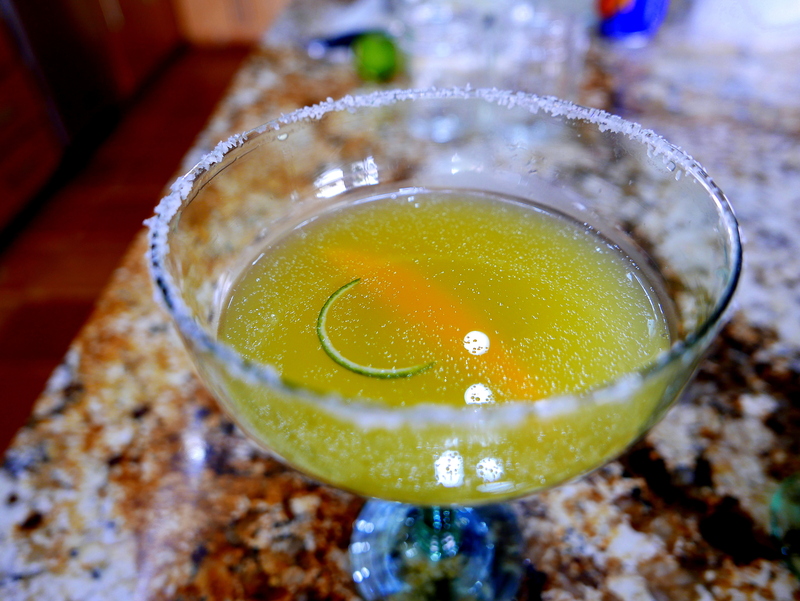 But it took a trip to Sedona, Arizona for me to find a version of the margarita that truly impressed me. It happened at the best restaurant in Sedona, the Elote Café. Indeed, the place is so far and away the best in Sedona that at normal dinner hours on theoretical off nights a half hour wait is not unusual. That’s the bad news. The good news is you can order one of their cocktails. And the best was a guava and mezcal margarita. I had to find a way to do something like that when I got back home. Instead of the guava I chose to use the mangos that are ubiquitous and utterly delicious all around us in Northern Baja markets. The essence of it was the way the smokiness of the mezcal played off the fruitiness of the mangos and the acidity of the lime. I’m not sure that I nailed the presentation, but the flavor profile was spot on. Prepare the shaker. Fill a shaker with ice. Make the drink. Add the Mezcal, juices and Cointreau to the shaker. Shake until chilled and then strain into glasses. Garnish the drink. 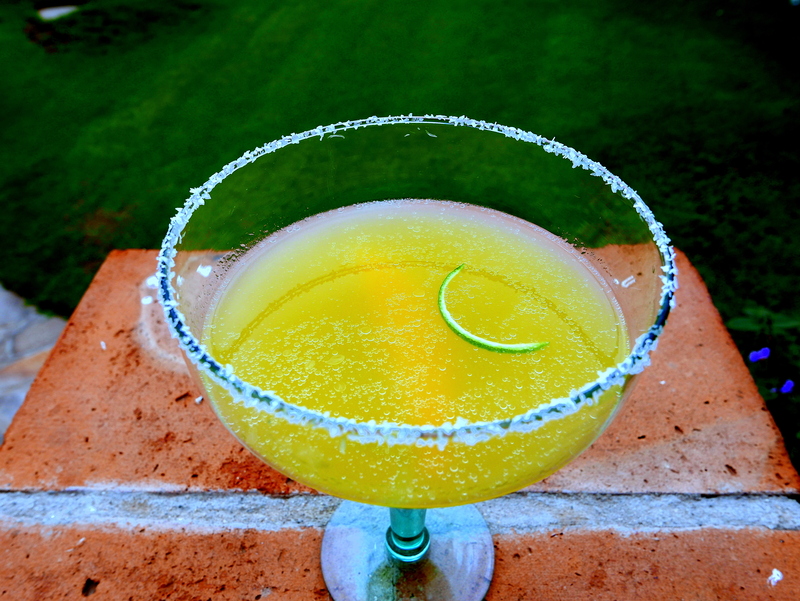 Rub the rim of the glasses with used, squeezed limes and dip into a plate of salt. 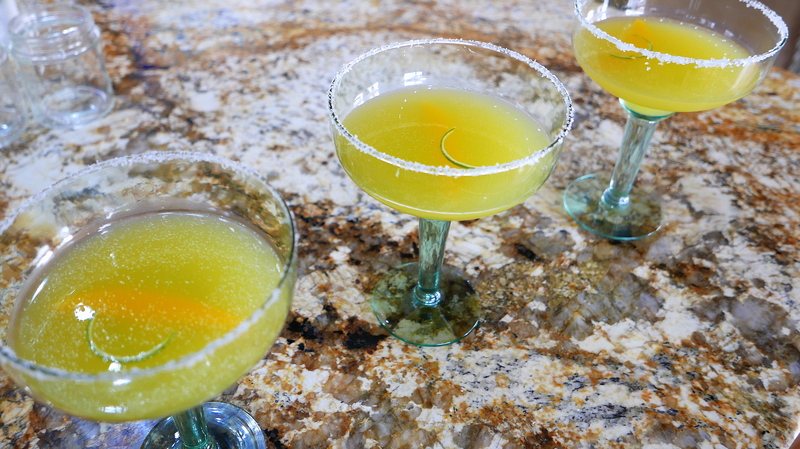 Garnish the glasses with a slice of mango and one or more strips of lime rind. Americas, Drinks, Mexico, North America, Regional American Cuisine, USA COCKTAIL, Elote Cafe, guava, Mezcal and Mango Margarita, Recipe, Sedona, Triple “M"